Agenda, by areas of municipal management, of the last ordinary session of the Local Government Board of the City of Totana, held last Thursday July 26. 1. Reading and approval of previous sessions. 3. JOINT PROPOSAL OF THE COUNCILS OF EDUCATION AND HUMAN RESOURCES ON SUBMISSION APPLICATION FOR THE CONDUCT OF ACTIONS FOR THE PREVENTION, MONITORING AND CONTROL OF ABSENTEEISM AND SCHOOL ABANDONMENT FOR THE 2018-2019 COURSE. 5. PROPOSAL OF THE CONTRACTING COUNCIL, TO APPROVE CERTIFICATIONS NO. 2 AND LAST, CERTIFICATION-LIQUIDATION AND RECEIPT OF RECEIPT, OF THE WORKS DENOMINATED "PAVING OF THE MORATALLA AND SUCRE STREET AND RENOVATION OF SUPPLY AND SANITATION NETWORKS IN C / SUCRE POS 2017, No. 58, (EXPTE 739/2018-O 09/17) ". 6. 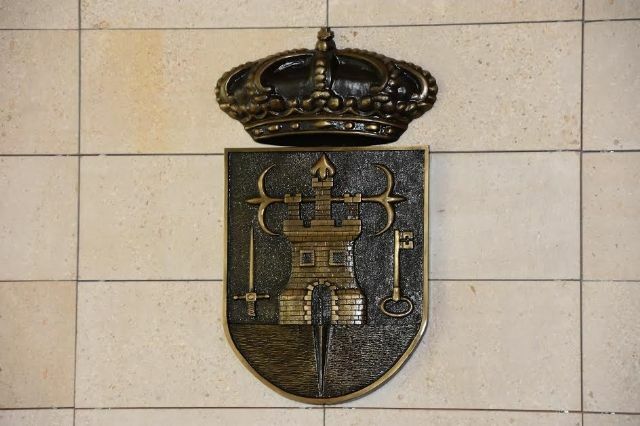 PROPOSAL OF THE COUNCIL OF TREASURY AND RECRUITMENT, TO APPROVE CERTIFICATION NÂº 1 AND UNIQUE OF THE WORKS DENOMINATED INSTALLATION OF A SECTION OF SEWAGE IN AVDA. 11. PROPOSAL OF THE COUNCIL OF ARCHAEOLOGICAL DEPOSITS FOR THE APPROVAL OF THE COLLABORATION AGREEMENT BETWEEN THE EXCMO. TOWN HALL OF TOTANA, AND THE ASSOCIATION FOR THE CULTURAL AND TOURIST PROMOTION OF TOTANA "KALATHOS" FOR THE ASSIGNMENT OF THE USE OF THE PREMISES OF THE THIRD PLANT AND PART OF THE BASEMENT OF THE OLD TECHNOLOGICAL CRAFTS CENTER. 12. PROPOSAL OF THE COUNCIL FOR ECONOMIC DEVELOPMENT, PROMOTION AND EMPLOYMENT AND INDUSTRY, FOR THE APPLICATION FOR A GRANT OF THE 14th EXTENSION OF THE AEDL "BUSINESS ENVIRONMENTAL DYNAMICS OF SOCIAL TISSUE"
14. PROPOSAL OF THE HACIENDA AND RECRUITMENT COUNCIL, TO COMPLETE CONTRACT NAMED "INSTALLATION AND EXPLOITATION OF BEVERAGE VENDING MACHINES (HOT AND COLD) AND OTHER PRODUCTS (VENDING) IN MUNICIPAL BUILDINGS AND SPORTS FACILITIES OF TOTANA TOWN HALL (EXPTE 722/2018 -CAE 03/16) ". 15. PROPOSAL OF THE CONTRACTING COUNCIL TO AWARD THE CONTRACT FOR "REHABILITATION OF THE SOURCE JUAN DE UZETA AND ITS ENVIRONMENT, PLAZA DE LA CONSTITUCION (EXPTE 230/2018-O 07/18)"